Providing you the best range of epilog laser usa make co2 laser systems epilog helix with effective & timely delivery. 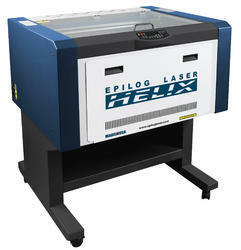 EPILOG USA make HELIX CO2 Laser Engraving & Cutting Systems. * Working Area : 24"x18"
Looking for CO2 Laser Systems ?